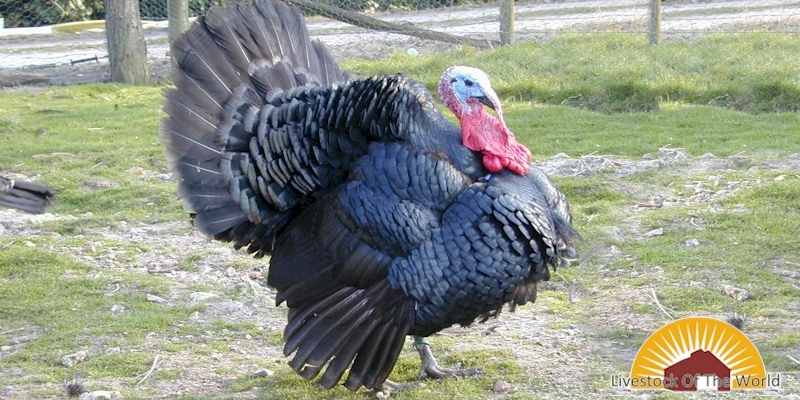 Dindon de Sologne Turkeys (also known as the Black Turkey of Sologne, Black Sologne,turkey Sologne,orsolognot)are a medium-sized variety of French Turkey with black plumage and blue-black legs. Dindon de Sologne Turkeys are hardy birds with a strong bright-red head, large, well-stocked wattles, a strong beak, bright eyes, a long neck, and a dense, broad chest. They are good layer (on average 15 eggs).